Jeffrey Smith is the founder of SEO Design Solutions, the company behind SEO Bootcamp and the well-known WordPress plugin SEO Ultimate+, which helps webmasters, affiliates, and business owners increase rankings, revenues, and reach. Jeffrey started his career in the mid 90’s and learned SEO to bring his first company from its early startup stage to a prominent, thriving global product development firm. In 2006 he founded SEO Design Solutions, an SEO agency which worked with some of the largest brands (Time, American Express, Food and Wine, Michaels, Travel and Leisure and others) providing SEO and consulting services. Along the way, striving for repeatability and consistency, the agency created a toolbox based on the challenges experienced with clients they later released to the public. That was the birth of their WordPress Software SEO Ultimate+ (an All-In-One WordPress Plugin) with over 2 million downloads and the SEO Design Framework (an optimized WordPress theme). When not working on web projects, Jeffrey enjoys what he loves most, discovering the latest insights to search engine algorithms, writing in-depth articles on search and testing numerous optimization strategies and tactics. Like a scientist, his passion for SEO is immeasurable, as he constantly peels away the layers of search engine optimization, revealing highly effective website optimization methods to help business owners navigate the online digital space. Jeffrey Smith’s professional career started 24 years ago in 1995 as an inventor and entrepreneur, when he and his business partner Monica Hadley founded AERON INTERNATIONAL, INC., a lifestyle consumer product development company specializing in electronic fragrance-based consumer products. Jeffrey invented an electronic aromatherapy diffuser called the Drive Time for the automobile and spent the next 8 years developing the product, online marketing and distribution of the company. This resulted in over 4 million units being sold in 17 countries. Later in 2002, the company created a spin-off company AERON Lifestyle Technology, Inc. which is still thriving 17 years later as an international consumer product development firm that creates custom fragrance programs comprising hundreds of products for big box retailers in the USA. In the 90’s, the company’s primary method for sales and advertising was through internet marketing and website promotion. As the webmaster for the company in addition to other executive responsibilities such as production, advertising and day to day operations as the President of the new start up, Jeffrey was at the helm of the website and used the internet for lead generation and advertising. Search engine optimization was different then, and it was possible to occupy the first 10 to 20 positions (due to the fact there were no filters to prevent this phenomenon). Now as it seems, just one position in the top 10 is more than enough to ensure a consistent stream of traffic. In the 90’s there was simply Yahoo, Alta Vista and a handful of search engines to summarize the internet experience. It just so happened that due to exorbitant start-up costs for producing their first product line and the astronomical costs of traditional print, radio and television advertising, AERON opted to use their website as a primary marketing tool. The campaign employed search engine optimization and an effective internet public relations campaign. The company’s Internet campaign achieved high conversions from the leads generated from the website which later proved to be the foundation for distribution of their products in throughout Japan, China, the UK and the United States. From that point forward the ability to harness the power of Search Engine Marketing and Search Engine Optimization became an ongoing preoccupation for Mr. Smith. Jeffrey eventually moved on from AERON and with the burning desire to apply the knowledge of Internet Marketing, PR, SEO Copy writing and Website Design with a new venture, he founded SEO Design Solutions in the fall of September 2006. Since that time, he and his team have focused on services, SEO training (SEO Bootcamp) and software to assist entrepreneurs, small businesses and corporations to improve online positioning. 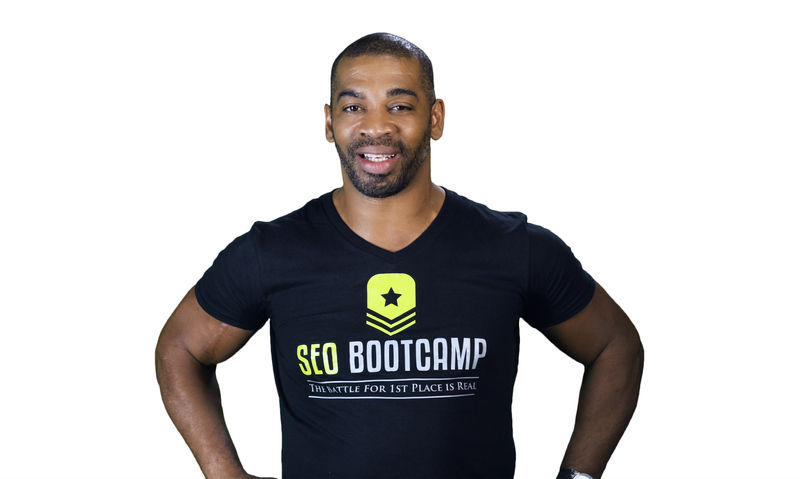 SEO Bootcamp was created to demystify the SEO process and share the same tactics and techniques fortune 500 companies paid hundreds of thousands of dollars for us to implement on their behalf. Once you complete the training you should have a solid understanding of keyword and competitor research, how to integrate that information into your site architecture of the website intelligently, how to craft content that search engines and consumers love as well as all of the on-page and off-page optimization tactics to create rankings and subject matter expertise for your business.